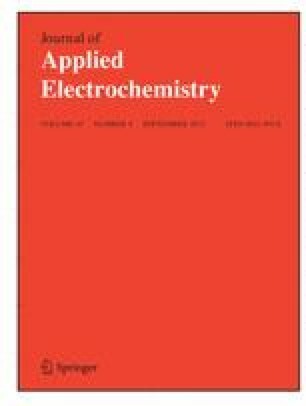 A quantitative investigation was conducted on the effect of electrical migration on the current distribution in through-hole electrodeposition. Polarization, surface concentration and current distribution were computed as functions of the geometry of the through-hole, electrolyte flow rate, applied current density and concentration of the supporting electrolyte. Results were compared with those from a simplified model in which the electric field was neglected within the diffusion layer.